The Dallas Cowboys and the New York Yankees are the most valuable sports teams in America this year, each worth a whopping $3.2 billion. A new visual by Dadaviz that pulled numbers from a July Forbes report shows just how rich they are, and where they rank on a global scale of teams that are worth a fortune. Worldwide, soccer teams account for three of the five most valuable, with Real Madrid—at $3.26 billion—leading the way. Barcelona and Manchester United round out the top five, followed by a trailing Los Angeles Lakers, in sixth place. Last on the list are the Tennessee Titans, Atlanta Braves, Dallas Mavericks and Minnesota Vikings—all valued at just over a billion bucks. 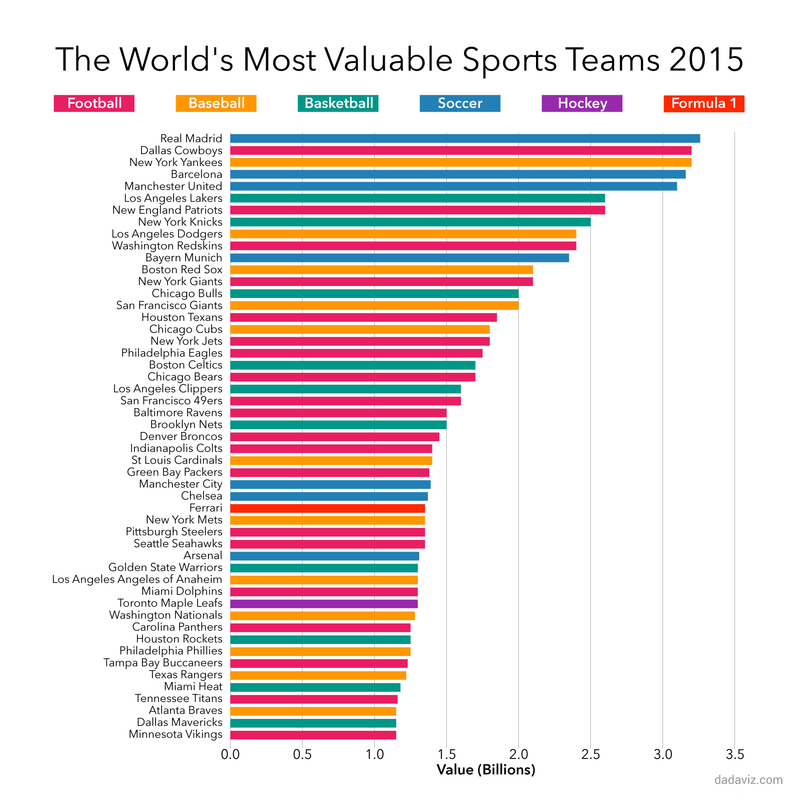 The post The Two U.S. Sports Teams Worth More Than $3 Billion appeared first on Vocativ. Angry Syrians say Russia waging "Holy War," "Invading Syria"